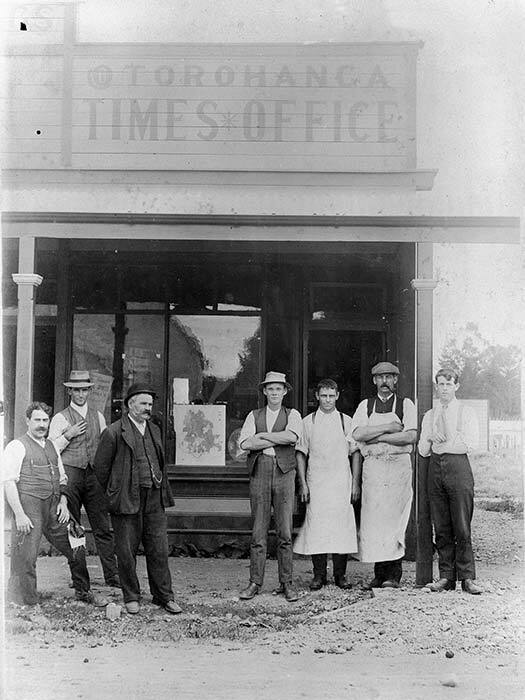 J. C. Claridge (third from left in bowler hat) and his staff stand outside the office of their bi-weekly newspaper, the Otorohanga Times, soon after its formation in 1912. Claridge was then associated with eight other rural Waikato newspapers. In 1980 the Otorohanga Times merged with the King Country Chronicle (established in 1906) to form the Waitomo News.